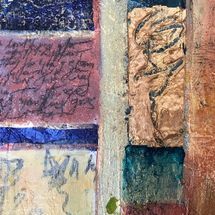 Give your acrylic work that outstanding quality with texture . Try out a variety of mediums and find out how they can make your work an exciting visual experience. 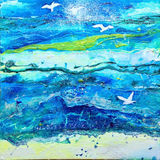 Margaret is known for her use of vivid colour and contemporary feel for the landscape. Many of her works are in private and corporate collections throughout UK, USA, Europe, Asia and Australia. She was one of eighty artists from around the world to attend a conference and exhibit in Miami Art Basil, USA. Recently she has been engaged in a collaborative project with a designer to create artworks for diverse interiors.